To all who contributed to our Sept 27 fundraiser - THANK YOU!! The Friendship Association is a non-profit organization that is funded by broad-based public support and its membership. The Friendship Association sponsors delegations to Cuba and educational and cultural events in Cuba and in the United States. 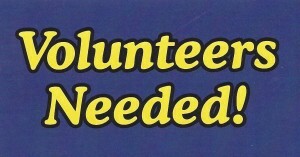 We are always looking for volunteers who might help us in some capacity or another. The Friendship Association is looking for a local volunteer who could take responsibility for handling and shipping of our latest publication: Endemic Birds of Cuba. Orders come in from our web site or from Amazon. In either case we are advised as either PayPal or Amazon receives payments. We can make this really easy for you. go to our Stamps.com account and print out the appropriate pre-stamped mailing label which we will send to you by email. drop the envelope at a post box. All you need is an email address where we can reach you and a B/W printer! Estimated work load: less than an hour a week – at most. We’re looking for a volunteer who could commit through the end of March, 2016. In September/October 2015, the Friendship Association redesigned its entire website. The first two are WordPress sites. The third is a straight HTLM. We are always looking for ways to improve the look fo the site and make it as interactive as possible. The Friendship Association is a non-profit organization that is funded by broad-based public support and its membership. Friendship Association projects have received support from the ARCA Foundation, the Florida Humanities Council, the National Endowment for the Arts, Idea Wild, The Christopher Reynolds Foundation, BirdsCaribbean, Optics for the Tropics, and Caribbean Heritage Concepts. We have a series of new worthy projects in need of support. Help with fundraising/grantwriting would be much appreciated.